There are different types of Barbell Squats and all of them have one and the same purpose- build massive leg muscles, strengthen the quads and your core muscles. Barbell squat is one of the main power fitness and bodybuilding exercise due to its compound mechanics. It is a pushing exercise that involves more than 250 different muscles in your body. Barbell squats are one of the most complex movements in terms of multiple teaching points. And you HAVE to get it done right or you can end up hurt. 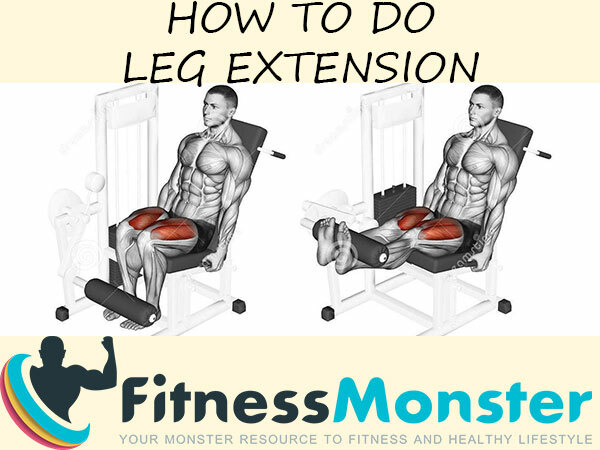 In this article we will cover everything you need to know in order to start training and building massive legs without risk of injuries. 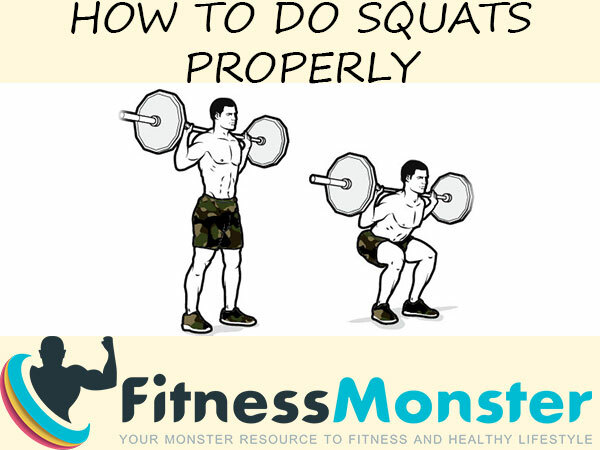 We will cover the most commonly used types of barbell squat – Back Squat including both High bar possition and Low Bar possition, Front Squat, how to properly warm up before squatting, how to stand and how to perform the squats. We will sum up the benefits of the barbell squats and we will help you learn how to keep yourself away from injuries due to bad exercise performance. Warming up before every exercise is essential part of any injury free workout. Aim to complete 2-3 bodyweight or light sets of barbell back-squats, performing 12-15 repetitions before moving into your working sets; you could even perform some pause-reps tobarbell back squats increase the tension and make sure that you’re pumped up for your working sets by activating as many muscle fibers as you can beforehand. Barbell back squat is by far the most important leg exercise and is one of the best free weight training exercises. 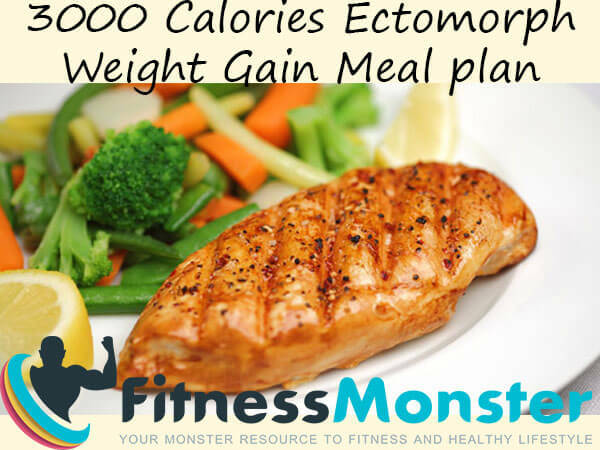 It should be widely used in both your Muscle Building Workouts and Fat Loss Workouts. Most of the people who wish to lose weight skip this exercise mainly because it seems compound and hard and they make huge mistake. You might have seen different variations of the barbell squats in the gym. Some people might perform the squats correctly, others might risk to injure themselves. Here we will mark and discuss the most commonly used barbell squats that work and will help you build massive leg muscles. The major squat variations can be based on your body, skill level, goals and of course, past medical and injury history. The classic barbell squat behind neck is one of the most popular exercises for developing strength, mass and endurance in modern science of training with weights. Squat is basic pushing exercise that uses a wide range of muscle groups and as such has multiple applications. The barbell Squat exercise is suitable for beginners and intermediate users and practitioners and is used in training programs, no matter if the goals are improvements of your overall fitness condition or functionality. Additionally this exercise is both used in everyday fitness activities, bodybuilding training programs for both men and women. Squat with a barbell behind neck is an exercise that takes a lot of energy, so it is suitable to be included in programs for weight reduction and weight loss. Before you start with squats with a barbell, try to learn proper squat with your own weight. This will help you keep good technique even with bigger weights. Approach the bar – this is important step in order to have the bar low enough for you. It is always a good idea to have the bar a bit low other than getting up on your toes to unhook. Mid chest might be too low for some, especially if you lift heavy. Hands possitions – depending on the weights you lift, either chose close grip or a wide grip if you are a heavy lifter. Barbell Squat beginners can make many mistakes that can either make them quit or make them injured. Squatting is one of the most compound exercise, so it is important that you have cleared your technique before squatting heavy weights. If you are squatting correctly, you should not feel pain in your lower back, knees, ankles. Lower back pain is usually a sign that your technique is not correct and/or your core is weak. Rounding the lower back: Crucially important part of the squat is to keep your back straight! You can ensure your back is straight by keeping your eyes facing forward, chest out, shoulder blades back, and back arched. Keep your core muscles tensed throughout the movement to help hold your back in place. Knees in or out: Don’t point your knees in or out when you’re lowering or pushing the weight. This puts unnecessary strain on the knee joints. Squat with a barbell is not recommended for people with injuries in the spine, knees, ankles or hips. If you have any of the previously mentioned injuries, please consult your orthopedist or doctor. In case you still wish to perform the Barbell Squat behind neck, contact your trainer or physiotherapist. People with spinal curvature or changes in arch / shape of the feet should perform squat with a barbell only under the supervision of a trained professional. People with reduced mobility due to too tight muscles in the pelvis (headquarters), knees (rear thigh / quadriceps) or ankles (calf / tibialis) should perform squats in a program to increase the mobility under the supervision of a specialist. If this fitness article about How to do a Barbell Squat – Technique, Barbell Squat Benefits & Tips was useful to you, please use the share on social networks button so it can reach and help more people. Thank you!